Based at Riverside Business Centre, Lowestoft and with a virtual office package with the Suffolk Enterprise Centre in Ipswich, commercial and domestic cleaning specialists, Mary Moppins Limited has seen considerable growth since they launched in 2005. Now with nearly 80 staff operating across Norfolk and Suffolk, Managing Director Alicia Haynes tells us about their journey. I’m no stranger to growing businesses. My first venture was building a successful care business, which operated throughout East Anglia and had 500 employees. After ten years, this was sold to Nester Healthcare PLC before I moved into the hospitality trade. Following the death of my father, with whom I had always been in business, I took a much-needed break. Two years later, in 2005, I was ready for a new challenge and Mary Moppins Limited was born. Working alongside my daughter, Kathryn, one of the motivations behind Mary Moppins Limited is to help cleaning staff feel more credible. We achieve this by providing our staff with a solid foundation of training and support to enable them to deliver our service to the highest possible standards. Can you remember gaining your first customer and how it made you feel? It was very nerve racking. We were anxious about meeting expectations. However we were also excited that the journey was just beginning. The client continued to use us regularly, which built our confidence and importantly the customer list began to grow. Have you faced challenges? How did you overcome these? The business has not been without some challenges. Staff can work in some difficult environments; however we see these situations as opportunities to for us to grow and develop. With good communication and an understanding of our clients’ needs, Mary Moppins Limited has continued to exceed expectations, while building excellent rapport and relationships with our clients. 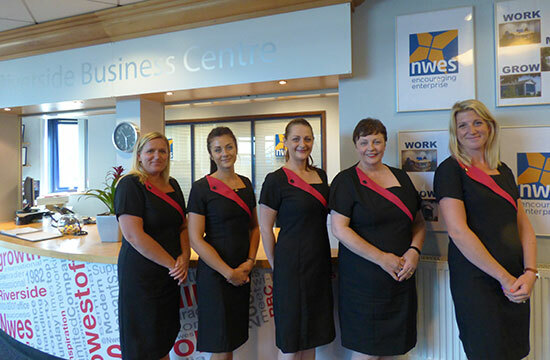 How has being based at an Nwes managed property boosted your business? For the last four years, we have been based at Riverside Business Centre in Lowestoft, which has given us some real benefits. The image this gives our staff and clients is really professional. It really helps with the day to day running of the business. We haven’t got the responsibilities of the building, repairs and maintenance, therefore we can put more time into the running of the company. We are proud of how Mary Moppins Limited has developed. Watching the company grow is so rewarding. With a team of almost 80 staff, we feel we are helping lots of families with flexible working hours maintain employment. We also have a team who enjoy their jobs and offer our clients a sparkling service! It’s rewarding to know it was all created from a name and an idea.